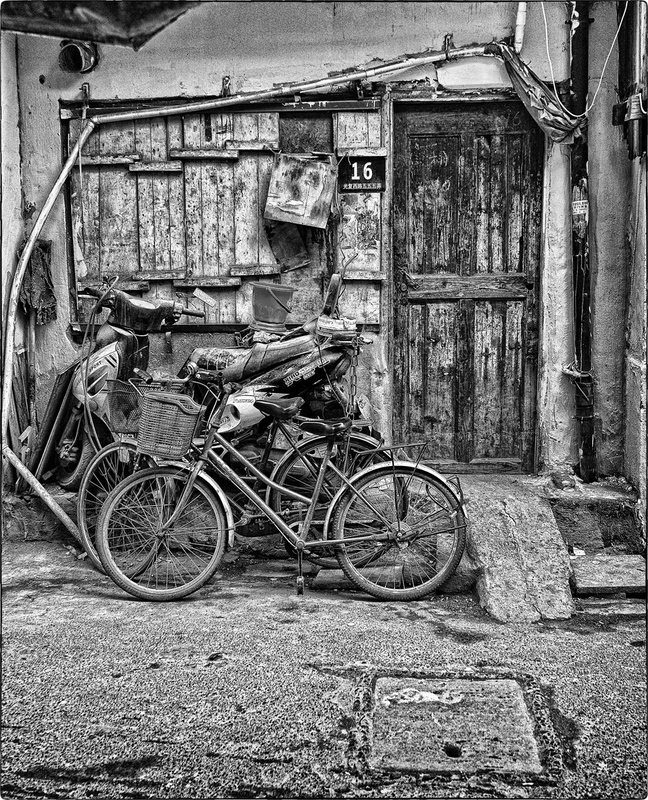 Image taken on the streets of Shanghai, China, the majority of these Shanghai Lane houses have now disappeared making way for new high rise residential developments. Really enjoying seeing these images – the process compliments them very well. Cheers David, these streets really speak to me and i love trying to capture their essence before they disappear for ever. I always enjoy the textures in your photos. Makes me want to run my hand over the bikes’ seats and moped’s handle bars…and open that door… Well done (again).